Do you love surprises? Do you delight in finding hidden gems? 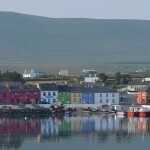 Then come and visit Cois Cuain, Portmagee, Co. Kerry where we offer a world of choice in a tiny village. A haven of inspired gift ideas, we take great pride in sourcing beautiful, high quality products at very attractive prices. Taking our inspiration from the sea, we provide stylish and original gifts and interiors that tastefully reflect our stunning harbour-side location. We think carefully about every item in our collection, capturing the essence of the sea with gifts that are both simple and beautiful. Cois Cuain also stocks beautiful vintage-style gifts, accessories and linens to complement the coastal feel, as well as delicious homemade bread and preserves. New for 2014 we are making our own yummy cream and butter fudge which is proving to be very popular! 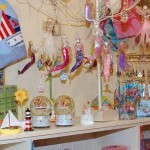 Stylish handbags and jewellery together with great children’s gifts, décor and wooden toys ensure that you are guaranteed to find plenty to delight you. Located beside the Moorings Guesthouse, Cois Cuain, meaning “beside the harbour”, is the perfect destination for a relaxing shopping break by the sea. As a small company, we pride ourselves on friendly, personal service and we are sure you will find something of interest among the extensive range of gifts we have to offer.